Hello friends,I hope you'll are fine. We regularly change our desktop background or themes to get refreshing feel.But listening to same Startup sound and watching same old picture on Logon background feels somewhat boring.If you are one of those who love to customize the complete Look and feel of your windows as per your taste then you will be glad to know that you can easily change the startup sound . 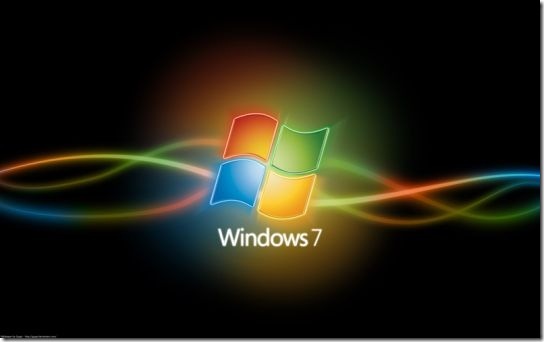 Changing the registry is usually tricky for most of the users and any wrong change can create problems in your windows operating system.Registry changes are recommended only when you have no way around to solve your problems. The best and easiest way is to use free third party softwares as they are more secure and can easily configure your system as you want without putting any sweat.Moreover these softwares are not bulky and doesn’t consume too much system resources. 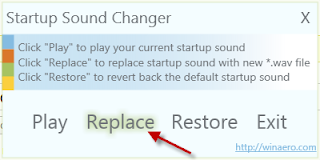 Download Windows Start up Sound Changer.It is a tiny (only 318 kb) and portable(doesn’t require installation) software. That’s it.You can also restore the default sound at any later stage by clicking on Restore buttom.